Regular application of extra-virgin olive oil is good for skin because it helps heal issues like acne, sunburn, skin irritation, stretch marks, and so on. Plus, it helps restore moisture without clogging the pores, and improves the texture of your skin. When using this natural oil, it is recommended to use extra-virgin olive oil which is extracted from the first pressing of olives. It is the purest form of this oil. Thus, it is loaded with antioxidants that fight against free radicals, thereby working a great anti-aging treatment. Furthermore, it helps prevent skin cancer. • Exfoliate your skin by scrubbing with a mixture of half a cup of granulated sugar, three tablespoons of olive oil, and two tablespoons of organic honey. Use this face as well as body scrub on a weekly basis to maintain gorgeous, younger-looking skin. Alternatively, you can exfoliate with a mixture of three tablespoons of salt and four tablespoons of olive oil. It is also effective for treating acne naturally at home. 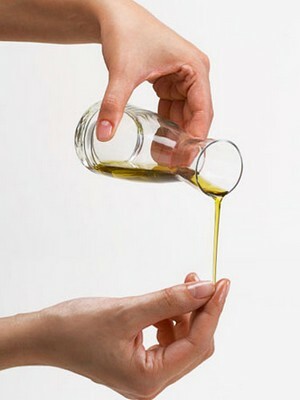 • Prepare a moisturizing face mask for dry skin by combining an egg yolk and one teaspoon each of olive oil, and honey. Leave it on your face for 15-20 minutes and then rinse it off with lukewarm water. You can store this recipe in the refrigerator for about a week. Make sure you wash your face thoroughly before applying this or as a matter of fact, any face mask. • Olive oil can be used as a wonderful face wash. For this, you need to dab a little olive oil on your skin and massage in circular motion for a couple of minutes. Next, gently wipe your face and neck with a washcloth soaked in warm water. Finally, splash cold water on your face after about 10 minutes. Besides, olive oil works as an excellent eye make-up remover and is a perfect solution for cracked heels and dry cuticles. Check out this video demonstrating how to include olive oil in your beauty regimen. • Another simple beauty-care recipe for maintaining clear, acne-free glowing skin involves applying one teaspoon of olive oil mixed with the same amount of honey and half a teaspoon of lemon juice. Massage it on your skin regularly to prevent sagging. • Break an egg in a bowl and whisk it. Next, add one tablespoon each of whole milk, unbleached flour, half a teaspoon of olive oil, and a quarter teaspoon of sea salt in it. Massage this mixture gently on your face and leave for about 20 minutes before rinsing it off. This homemade beauty recipe is good for moisturizing the skin, reducing wrinkles, and refining the pores. • Mash avocado pulp and add one tablespoon each of plain yogurt, honey, half a tablespoon of olive oil, and two drops of vitamin E oil in it to get a smooth paste. Smear this paste on your face and neck. Wash it off after 15 minutes to nourish dry, sensitive skin. • You can make a clay mask by mixing one teaspoon each of olive oil and clay powder (white clay is best for sensitive skin) in two tablespoons of mashed avocado. • Improve your skin tone and reduce sunburn by applying a combination of ten parts of olive oil and one part of tea tree oil. Olive oil also has anti-inflammatory properties. • When dealing with stretch marks, mix half a cup of olive oil mixed with the same amount of aloe vera gel and a tablespoon of vitamin E oil. Daily massage the affected area with this oil. Apart from skin, extra-virgin olive oil is highly beneficial for your hair as it promotes hair growth and prevents slit ends. In terms of health benefits, consumption of olive oil helps increase energy, improves metabolism, and protects against heart disease. Moreover, it also facilitates weight loss. i have used extra virgin olive oil on my skin before and it tends to store in my glands, it made me feel poorly, why is this?